OK 28 Big Cabin Creek, Mayes Co. 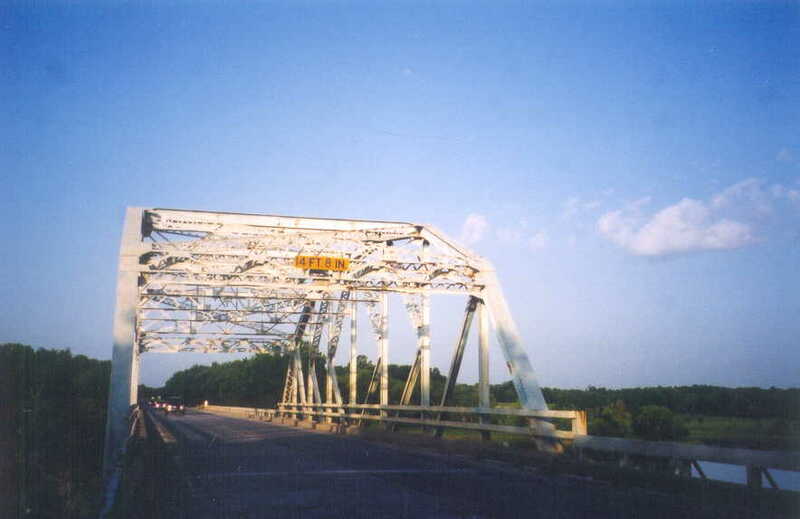 Built in 1939 and widened and remodeled circa 1959-1960, this bridge carries OK 28 across Big Cabin creek near Grand Lake. Record show that Glenn E. Bras. 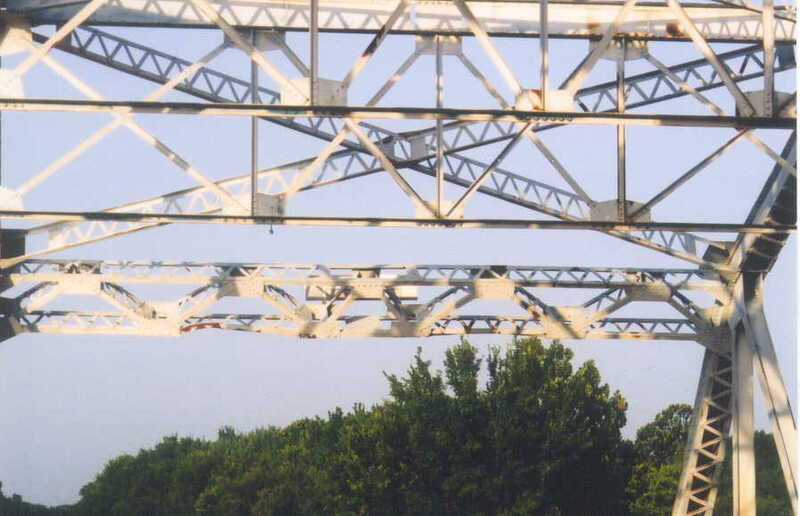 Looking at the picture above it is hard to tell that this 8-panel 160-foot K-truss span has been widened. 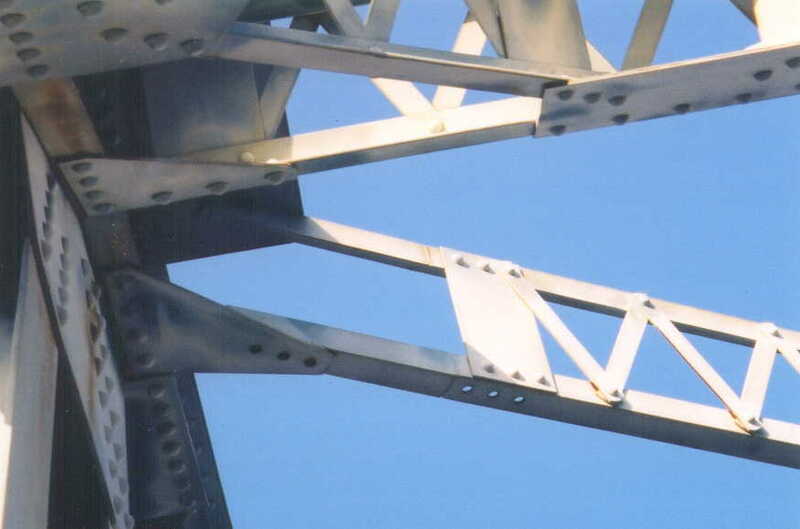 In the picture below are some of the first clues You can see that extension angles have been welded on to this upper lateral diagonal member. The empty rivet holes in the gusset plate and member itself show its original locations. In the photo below you can see the rest of the upper lateral diagonal shown above, as well as the portal and sway braces. The portal and sway braces were lengthened by adding additional material to their middles. It is rather easy to tell new from old, all the old parts are riveted, new parts are welded.